Adding contacts to the cloud means you can access those important details anywhere, anytime. Find out how to with Office 365. McAfee Multi Access from Uplands is an online security application that protects all your devices, all at once. It’s simple, and cost effective. 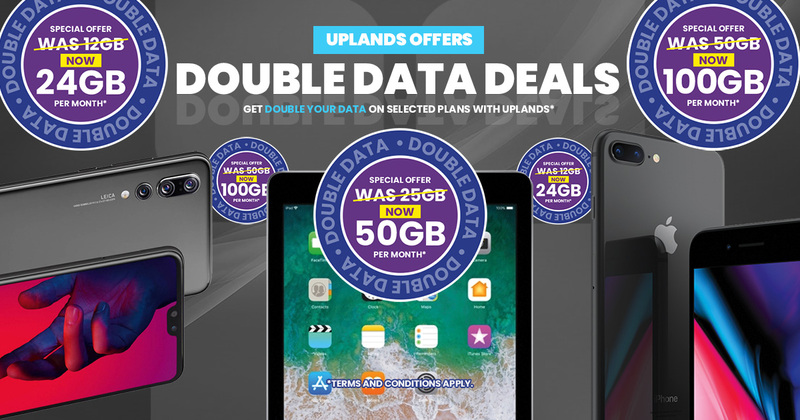 Get DOUBLE your data on selected plans. Why isn’t my internet working? If you are experiencing issues with your internet connection try our diagnostics to help fix the problem. 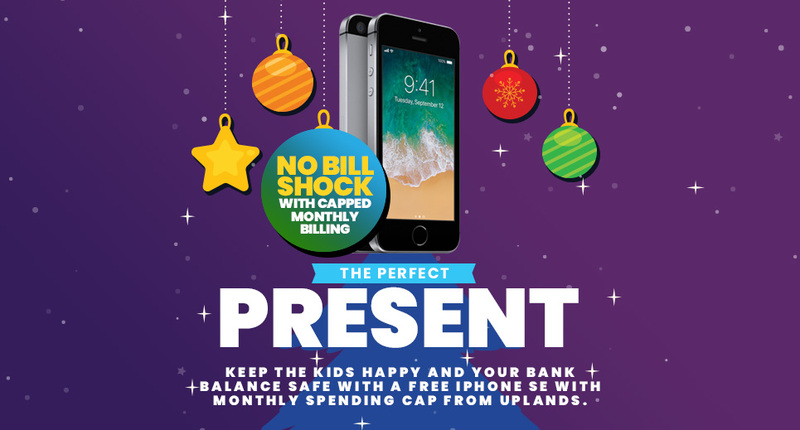 Keep the kids happy and your bank balance safe with a free iPhone SE with monthly spending cap from Uplands. How many times do you interact with your phone on a daily basis? Find out with Screen Time, you may be in for a shock. Resetting your iPhone can resolve issues such as your phone crashing, freezing, non-response, can't make or receive calls and much more.